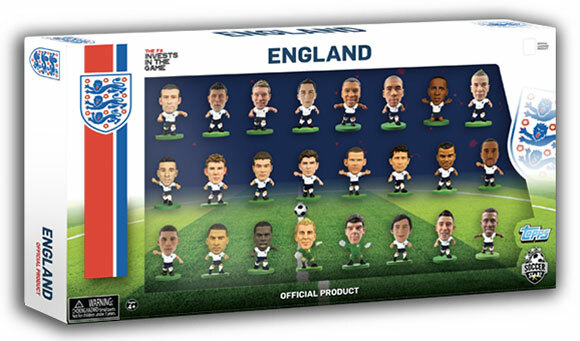 SoccerStarz Line Up at Hamleys! The World Cup is almost here! And if you’re getting football fever like us you might want to heda to Hamleys this week! 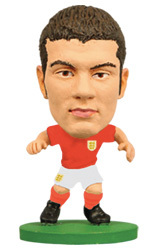 This Thursday (12th June) the London toy shop will be unveiling a new window display starring a giant Jack Wilshere SoccerStarz figure along with the full range of International SoccerStarz figures that are out now. And as an added treat, this Saturday at 9.15am you’ll be able to see Charlotte Lade – the amazing football freestyler and presenter of Disney XD’s Golamouth. Charlotte will be signing products, posing for pictures and of course showing off some ball skills! The first 200 visitors who turn up will also get a free SoccerStarz goody bag, so make sure to get there early!